An Xbox Game Pass Ultimate subscription tier will be introduced soon by Microsoft, according to renown insider h0x0d. He has an excellent track record when it comes to Microsoft leaks, the latest one being HoloLens 2 in February just ahead of the official unveiling. The tier will include both Xbox Live Gold and Xbox Game Pass subscriptions for the special price of $14.99/month, according to h0x0d. This is a move many Xbox fans have been expecting ever since Microsoft introduced the Xbox Game Pass Netflix-like subscription service. It makes perfect sense to offer an additional tier for those Xbox gamers who need Xbox Live Gold to play in multiplayer games and also want Xbox Game Pass at a discount. Right now, it would take $19.98 to get both while keeping a monthly subscription, though of course there are options to get Xbox Live Gold and Xbox Game Pass discounted by purchasing multiple months worth of subscription, not to mention the deals such as those happening during Black Friday. Two additional sources have provided more hints on what’s coming to Xbox Game Pass. Brad Sams, Executive Editor of Thurrott.com and another renown Microsoft leaker, suggested that this subscription may also come to PC. However, it is unlikely he meant that it will be the same tier, given that there is no Xbox Live Gold on PC; it’s far more likely he referred to just XGP, which isn’t fully available yet on PC (save for a few Xbox Play Anywhere games) but is expected to launch soon on the platform. Sams also provided an ETA on the announcement, stating it should come at E3 (presumably during Microsoft’s keynote) or even sooner than that. Lastly, Niko Partners industry analyst (ZhugeEX on ResetEra) suggested multiple subscription tiers will be added by Microsoft, not just Xbox Game Pass Ultimate. This is entirely in line with Microsoft’s statements on the rising importance of subscription services in the games industry. 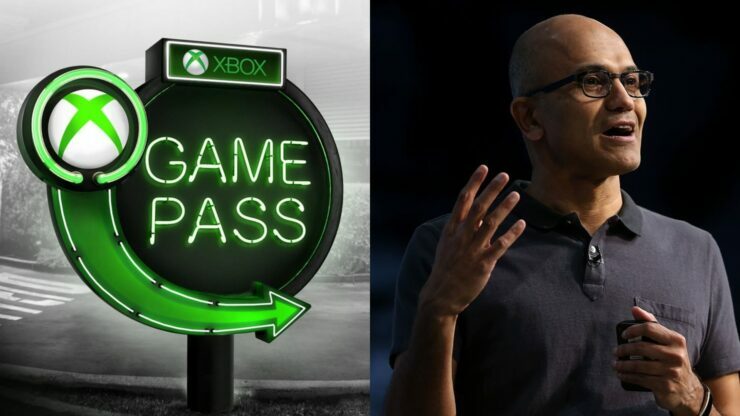 In fact, CEO Satya Nadella stated several times that the goal with Xbox Game Pass is to try and replicate the success of Netflix. Another piece of the puzzle will surely be Project xCloud, the cloud-based streaming service due to be tested publicly later this year. Another tier could very well include both xCloud and XGP for those without a gaming PC or Xbox console, though that’s just speculation on our part for now.